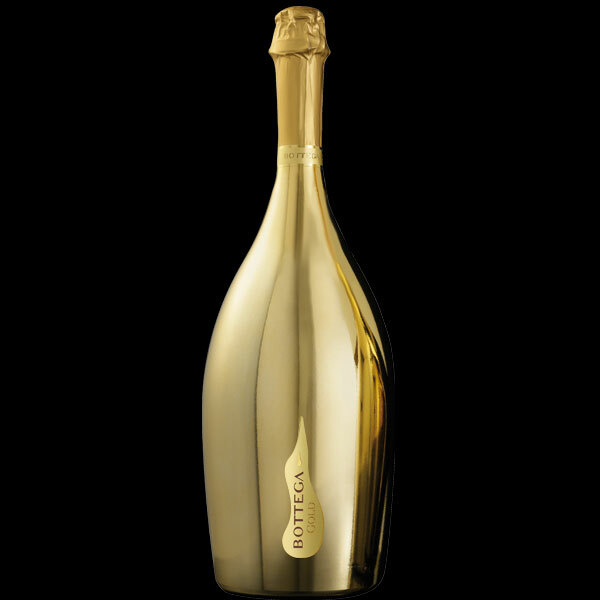 Bottega Gold Prosecco Spumante Jeroboam The finest Prosecco, Bottega Gold is a Prosecco DOC obtained by the vinification in white of the Glera grapes, grown in the Valdobbiadene hills. Presented in a Venetian gold bottle, the grapes for this sparkling wine are hand picked to give an elegant and fresh taste with a fine perlage. The golden bottle not only looks exquisite but preserves it's aroma and freshness.